The accident on Route 3 was reported about 4 a.m. by a motorist who said the truck veered from the road, hit power lines and crashed through gas pumps at the Circle K station in Liberty. A box truck crashed and destroyed gas pumps at a Circle K station in Liberty overnight, the Waldo County Sheriff’s Office said Tuesday. 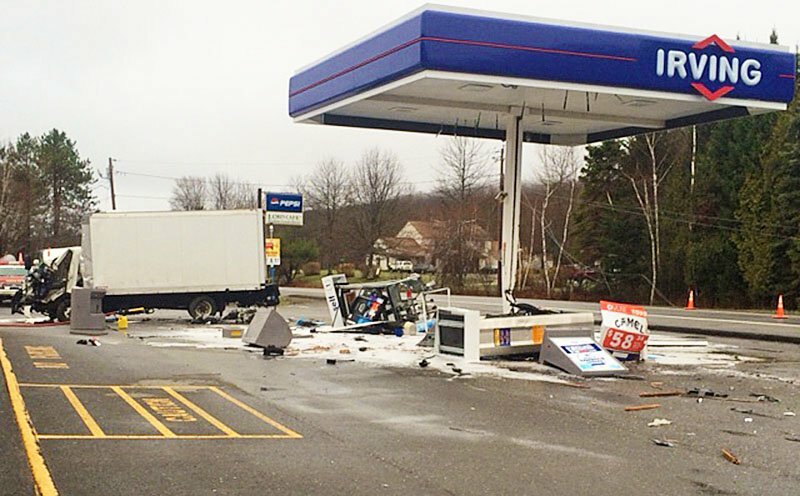 The accident on Route 3 was reported about 4 a.m. by another driver, who said the truck veered off the road, hit power lines and then crashed through gas pumps at the station. Fire departments from five towns responded, and the driver of the truck, John Hespe, 60, of New Gloucester, was extracted from the truck and taken to MaineGeneral Hospital in Augusta. The driver sustained significant injuries, and so far deputies do not know what caused the crash and are doing a reconstruction as part of the investigation. Units from the Maine state police commercial vehicle division, as well as the Department of Environmental Protection, responded. Utility crews from Central Maine Power Co. and FairPoint Communication also responded, to restore power and telephone service.